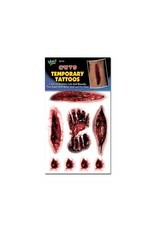 Wolf Novelties Temporary Tattoos are easily applied using water and will last 3-5 days. 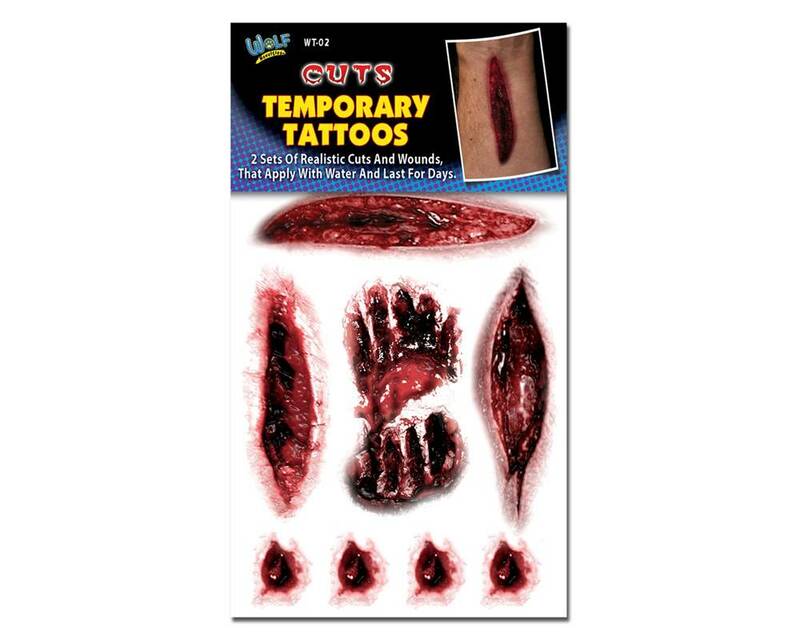 Scary to pretty, there is something for everyone. 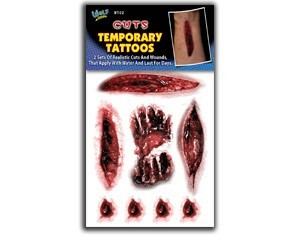 Available in: Stitches & Cuts.